I am very happy today to welcome author Heidi Lyn Burke, who I met through the Magic Appreciation Tour. 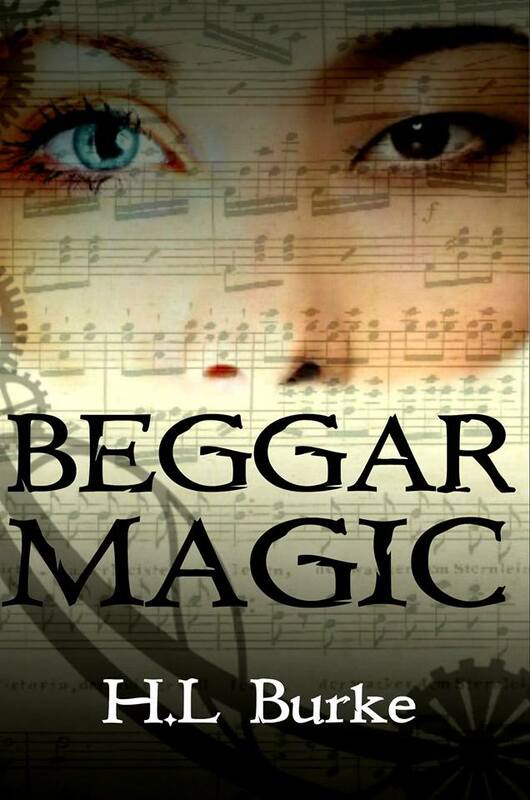 Heidi is launching a new novel, Beggar Magic. Heidi, Please tell us about your book. Who are the main characters? What are the challenges they face? The main character is Leilani Weaver, but her best friend, Zebedy, is pasted to her side for most of the story. Leilani is of a lower class than Zeb and doesn’t have as much access to the magic. However, she’s more persistent and has both courage and common sense. When unknown forces threaten the Strains, Leilani’s the one who has to take charge. Since she’s considered a ‘second class citizen’, she has to fight for people to listen to her and take her seriously, and in the end her desire to find the truth no matter the cost endangers even her friendship with Zeb, who is a little less of a rule breaker. Writing lets me live vicariously through my characters. I started writing to put myself into the stories I enjoyed reading as a kid, but after a bit it becomes a part of your brain you just can’t turn off. I can hardly read now without thinking, “Well, this story is great, but what if. . .” and making my own versions or alternate ending. Finding the right story. I flail about every time I finish a piece, spending months writing the first few pages of one thing after another, only to get frustrated and put it aside. I swear I go through a dozen ideas trying to find exactly what I want to write. Once I get in a groove, I love it, but gosh, getting there takes a lot of twisting and turning. What do you enjoy most about crafting a story? Getting into my characters and letting them live the story. It’s almost like I’m following them around watching them do stuff. Any projects in the works right now? Tell us what we can expect in the future. I usually have one piece I’m writing and one I’m editing. I jokingly call it my writing assembly line. Right now I’m on mid-way drafts of a middle grade chapter book called Thaddeus Whiskers and the Dragon. It’s so stinking cute that some people who have read it have gone into shock. I’m thinking about putting a warning label on it. Seriously, the main character is an eternal kitten who never grows up and can fit into his owner’s slippers. Also, it has a dragon. I’m simultaneously writing (for National Novel Writing Month) an epic fantasy piece with the working title Lands of Ash, but that’s just a baby novel right now. We’ll have to see what it looks like when it grows up. Who are the authors that have most influenced you? It’s weird because the authors I like the most, I don’t particularly write like. My favorite authors are J. R. R. Tolkien, Kate DiCamillo, and Dostoevsky. However, the ones who influenced me the most would probably be Shannon Hale and Gail Carson Levine, simply because they introduced me to the “full length fairy tale” format that I usually work in. I like the concept of taking time honored tales and tropes and putting my own twist on them. What is your approach to marketing? Any tools out there that every writer should be aware of? I’m still very much a beginner in marketing. Right now I’m still dealing with readers and bloggers one on one whenever I can, creating fans by just being me and being open to communicating with people about my work. I think it is because I spent some time blogging before I started publishing my fiction. Blogging is more about “selling” my personality and creating connections. I will say, though, that you kind of have to be willing to give as much as you get. I help bloggers promote their pages on my pages. I retweet and like and pin, for other authors, yes, but also for book review bloggers and others who can use a hand up. People get sick of self-promotion really quick, so you have to have something out there, something they can identify with and come back for, even if it is just sharing Doctor Who memes on your Facebook page when nothing else is going on. Everyone has their own idea of what a successful career in writing is. What does success in writing look like to you? To some extent, I’ve already reached my original definition of success: I wanted to have people read and enjoy my books. It’s so annoying having all these worlds and characters and ideas and not having anyone else know about them. When I first decided to self-publish, it was just because I wanted to share it all with someone, anyone, even if only friends and family. Now I have fans, people who talk about my stories and characters the way I would gush about Aragorn or Princess Leia, or any of the other fictional folks who kept me company growing up. I will admit, though, that it would be nice to be able to support my family on this venture. My “other job” is as a stay at home mom, which I love, but financially my family depends on my husband. I’d like him to be able to retire when he reaches 20 years in service (he’s in the military) and for us to be able to live off of what I do, sort of for it to be my turn to be the bread winner. That’s my current goal. I watch way too much television, crochet, and play an occasional computer game. I used to be a World of Warcraft addict, but I had to put that aside to make time for my writing. I still indulge in an occasional puzzle or adventure game. In fact, a lot of the aesthetics of Beggar Magic were inspired by the Myst series of games. I consider myself a fun writer. I don’t tackle a lot of difficult topics. I’d prefer to make people laugh and smile than to make them cry. I do admit, though, the first time someone told me a scene in one of my stories had brought them to tears, I did get a little evilly gleeful, but I usually end my stories in a happy or at least hopeful place. I believe in fidelity and family and good old fashioned heroism. I’m a romantic, so yeah, I want people to be happy when they finish one of my books and feeling like they’ve had a bit of an adventure along with my characters. A New Young Adult Fantasy from author H. L. Burke! That cover is intriguing. Love the premise. Thanks for the look inside both author and story! I hope you got a chance to enter the giveaway! –H.